Kalank is a forthcoming Hindi movie set in a pre-independent India with the story of an elite family with some hidden truths began to unfold. Directed by Abhishek Varman and written by Shibani Bathija and Abhishek Varman too, it was conceptualized by Karan Johar’s father Yash Johar 15 years ago. It’s a period film with Bollywood stars Varun Dhawan, Alia Bhatt, Sanjay Datt, Madhuri Dixit, Kriti Sanon, Kiara Advani, Aditya Roy Kapoor and Sonakshi Sinha with a huge cast and crew. With a lot of drama and a bit of romance, Kalank roles around a story in the time before India was an independent country. Produced by Hiroo Johar, Karan Johar, Apoorva Mehta, Kunal Khemu, and Sajid Nadiadwala, the movie is made under the banner of Nadiadwala Grandson Entertainment, Fox Star Studios, and Dharma Productions. It is scheduled to release on 19th April 2019, but it was already conceptualized by Karan Johar’s father Yash Johar around fifteen years ago. Also you can book your movie tickets online buy using Bookmyshow Coupons at discounted prices. With nearly a decade long dream of his father Yash Johar, Karan Johar is finally ready to show his personal favorite story, and his father’s one of the most ambitious missions on big screens. Initially, Bollywood actress Sridevi was signed for the role of Begum Bahaar, but after her death, she was replaced by Madhuri Dixit. Kalank is a story of eternal love, it’s a period drama in pre-independent India. Before the partition of India when Britishers were ruling over the country, the movie starts from Varun Dhawan as a Muslim blacksmith in the famous market Heera Mandi of Lahore. Sanjay Dutt will play the character of the king Balraj Chaudhary. Madhuri Dixit will play the role of the prostitute’s leader starting a rebellion against Britishers with Varun Dhawan (as Zafar) and Aditya Roy Kapoor(as Dev Chaudhary) against the British government. The movie tells the story when the prostitutes and the Blacksmiths united to fight against the British government. Though it seems to be a kind of action movie, it is completely based on the eternal love between the characters and their irony to accept their love in front of this world divided in terms of religion. From the trailer, it’s clear that we will see a love triangle between Roop, Zafar (Varun Dhawan), and Dev Chaudhry who will be playing the role of an artisan who will rebel along with Zafar. While Kriti Sanon has a special appearance in the movie, Kunal Khemu’s role is still hiding behind the shades. 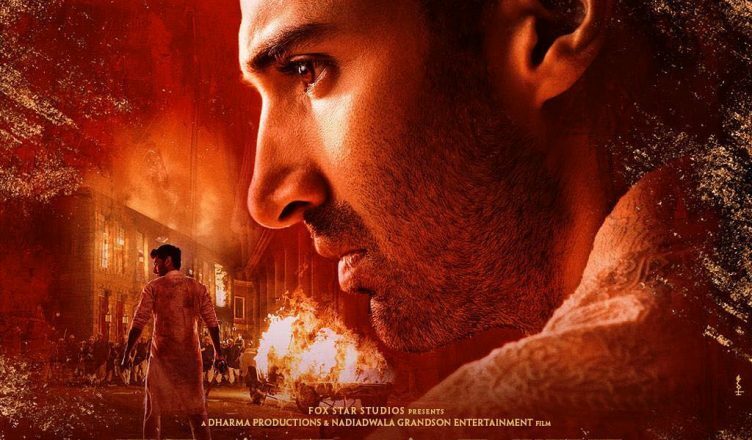 Kalank starts with the intense action between Hindu and Muslim communities as the time shown in the movie is between the year 1940 and 1945. Dev Chaudhry who is an artisan took the sword in his hands and fought with the enemies alone. From the trailer, Sonakshi Sinha (as Satya Chaudhry) is the wife of Dev, but Dev is in love with Roop. Despite Dev tries to marry her, Roop and Zafar are in love with each other. Besides all of these secrets in their life, Zafar and Dev Chaudhry joined their hands with the prostitutes against the British government. Balraj Chaudhry (Sanjay Dutt) who also fell in love with Bahaar Begum (Madhuri Dixit), was bounded in his position as a king and with social issues to express his love for Begum publically because of their names. Kalank is a decade long dream of Karan Johar’s father Yash Johar. Time to time he tried to start up with the film, but for several reasons he was unable to go on with his dream project. Now Karan is back to convert his father’s dream into a reality and to poster the story on the 70mm screen as Kalank. Also from a traditional Bollywood script, he is moving towards the content filled movies with his newly released Kesari, Simba, and Bramhastra. These movies are highly appreciated by the audience and performer well on Box Office and you can book your movie ticket online at affordable prices using Freecharge Offers. The main highlight in the movie will be the pair of two old Bollywood icons. After 21 years, Sanjay Dutt and Madhuri Dixit will be sharing the 70mm screen. They performed in many movies like Khalnaayak, Mahaanta, and Thanedar. Many reports and leaks from the sets proved their closeness and an emotional side of these two duos. After Sanjay’s imprisonment, the relationship was ended and left unrising questions. Since then fans were excited to see these two legends together sharing the screen. From the audience perspective, it is 4.65/ 5. From other with such talented actors and actresses, Kalank is raising in people’s eyes. It also got high raising feedback from the fans.